Athletes' First Olympic Competition: How Did They Look? 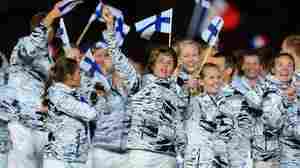 July 28, 2012  Among the parade of athletes during Friday night's ceremony, several outfits screamed for attention. Some shouted national pride, while others just called for a costume change. Tell us who you think should win our fashion contests.